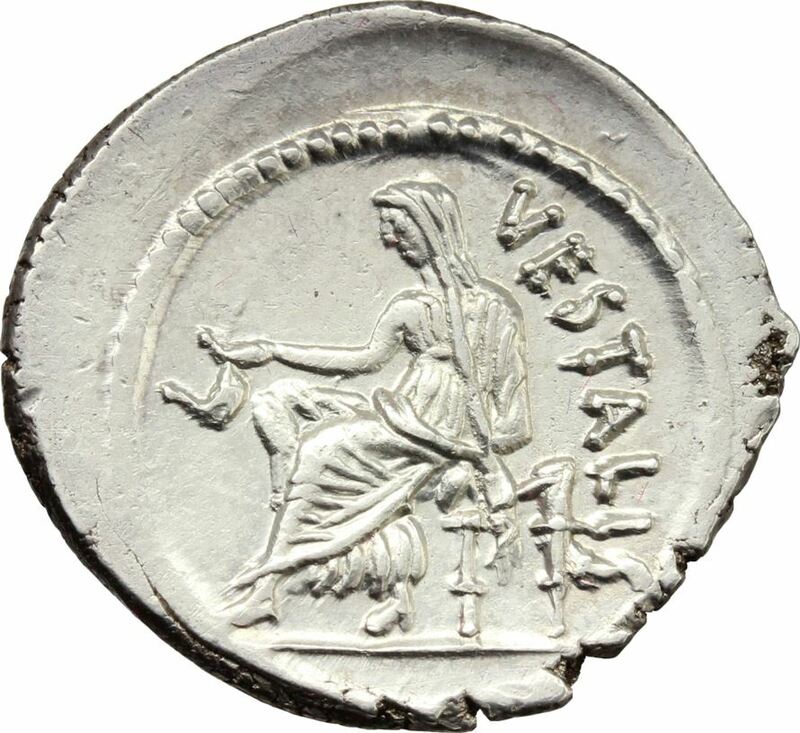 C. Clodius Vestalis was one of the moneyers for the year 41 BC. He is not otherwise known. Clodius is an alternate form of the Roman nomen Claudius, a patrician gens that was traditionally regarded as Sabine in origin. The alternation of o and au is characteristic of the Sabine dialect. In the Late Republic, the spelling Clodius is most prominently associated with Publius Clodius Pulcher, a popularist politician who gave up his patrician status through a order in order to qualify for the office of tribune of the plebs. Clodius positioned himself as a champion of the urban plebs, supporting free grain for the poor and the right of association in guilds (collegia); because of this individual's ideology, Clodius has often been taken as a more "plebeian" spelling and a gesture of political solidarity. Clodius's two elder brothers, the Appius Claudius Pulcher who was consul in 54 BC and the C. Claudius Pulcher who was praetor in 56 BC, conducted more conventional political careers and are referred to in contemporary sources with the traditional spelling.